I had a wonderful trip visiting horses in Alberta, Canada in February, and it was the coldest week of the year! 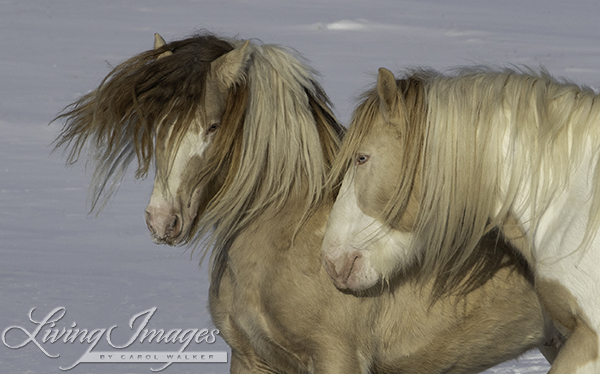 But the horses were beautiful and seemed to thrive and enjoy showing off despite the very cold temperatures. 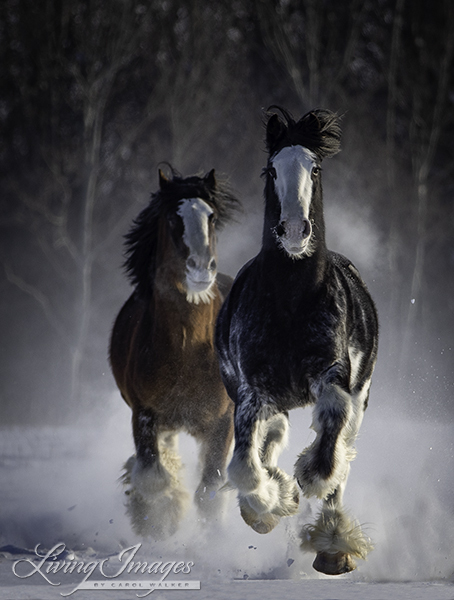 These two beautiful Clydesdale stallions were running in their pasture with great abandon and thundering hooves. These two stunning Gypsy Vanner stallions know each other well. It is always fun to watch stallions coming close together and interacting. 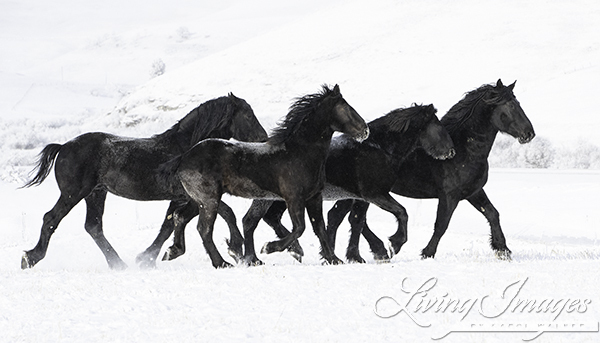 These four black Percheron stallions move together in the snow. 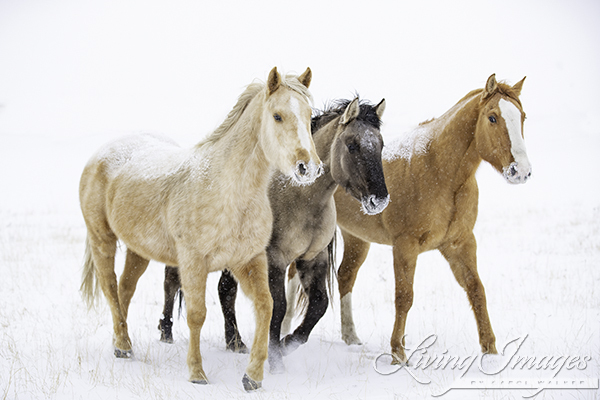 These three very colorful Quarter Horses, palomino, grulla and sorrel make a stunning color pallet against the snow.